The symposium organizing committee together with the symposium and Ramón Areces Foundation Scientific committees are delighted to announce the four SRUK/CERU members which have been awarded with the symposium travel and accommodation award. The final decision has been taken considering the quality of the abstract presented on each area within the registered members of SRUK/CERU. At the same time we would like to congratulate all the presenters for the high standard of their works, and a well-deserved special mention to all the people presenting from other countries. Miguel Fernando González Zalba obtained a Degree in Physics from the University of Zaragoza and the Degree Award in 2008. He began his research in the Materials Science Institute of Aragon where he participated in the research project “Solid State Physics at low temperatures: Designing a microspectrometre AC”. He continued his training at the University of Southampton thanks to a scholarship at this University and in 2008 he received the Diploma in Higher Education in Physics and Astronomy. He obtained a Grant from the Foundation “Obra Social La Caixa” in 2008 and the Cambridge European Trust to begin his doctorate in physics at the Cavendish group Microelectronics Laboratory, University of Cambridge, where in 2009 completed the research project “Electrical identification of single dopant atoms in silicon nanostructures”. 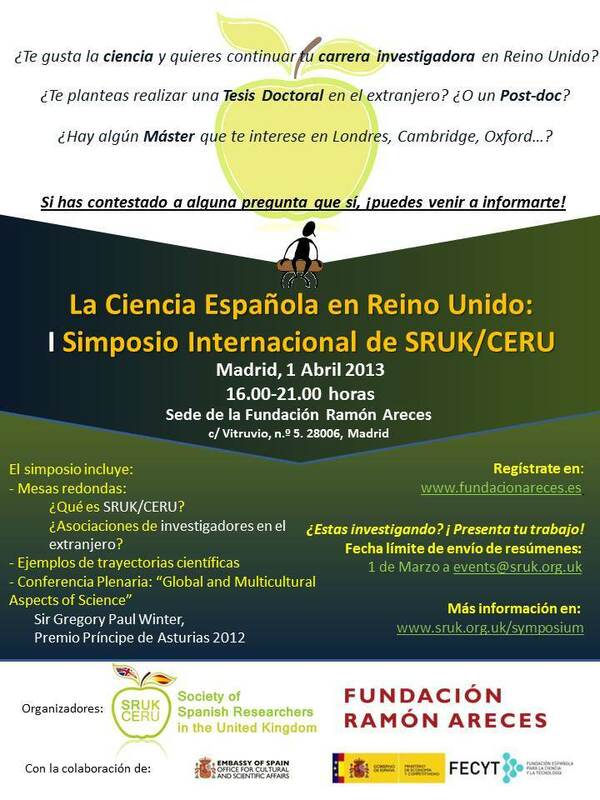 In 2010 he received the award Telefonica O2 Anglo-Spanish Society for the best research proposal. In 2011 he received a pre-doctoral R & D grant from the Government of Navarra to complete the doctorate “Single donor detection in silicon nanostructures” which was presented in 2013. Currently he continues his research on information technology and low energy-efficient consumption in the Microelectronics Group, University of Cambridge in collaboration with the Hitachi Cambridge Laboratory. He is the author of four publications that have been published in international journals. His main interest is the design and integration of nano-electronic devices of a single electron in logic circuits to reduce the power consumption. He is also working on the design and development of a hardware platform based on silicon technologies for processing and storage of quantum information. Miguel is an associate member of Institute of Physics, IEEE, Royal Spanish Society of Physics and member of the working group SRUK / CERU, Cambridge constituency. Juan Antonio Añel Cabanelas is a Research Fellow in climate research of the Smith School of Enterprise and the Environment and the ClimatePrediction.net scientific coordinator at the University of Oxford. He obtained a PhD in Physics at the University of Vigo. In 2008 he received the PhD award from the university, the Gulbenkian award for the best young researcher in geosciences and in 2009 the Science magazine published an article highlighting his research career. He has conducted research and worked in Portugal, USA and UK. His research interests are physics and climate science atmosphere, focused mainly on the study of extreme weather events, climate impacts and the study of the tropopause. Aiora Zabala has a BSc in Environmental Sciences from the Autonomous University of Barcelona (2005). She studied doctoral courses in Ecological Economics at the same university (ICTA, 2006) while she worked as a research assistant at the Department of Geography at UAB. Afterwards, she did an MSc in Environmental Policy at the Oxford University Centre for the Environment (OUCE, 2007) and since 2010 she is a doctoral researcher at the Department of Land Economy at the University of Cambridge, both funded by the Basque Department of Research (Scholarships for specialisation and the already extinct predoctoral grant). She has visited the Institute Of Natural Resources in South Africa, ECOSUR in Mexico, Hosei University in Japan and BC3 in Bilbao. Aiora investigates various aspects of governance for the transition towards more sustainable systems, from an interdisciplinary point of view. By conducting an extensive document analysis of the international negotiations for three major biodiversity conservation agreements, she created a structured chronology of the processes of negotiation, and she evaluated how integral the agreements were to their initial goals and how this affected their strength and potential (2005). By doing a multi-criteria analysis of policy measures for sustainable transport based on more than sixty regional policy documents, interviews and surveys, she detected key cost-efficient improvements that can boost the use of collective transport (2007). Her gathering and analysis of fieldwork data in a rural community in South Africa showed that a nationwide environment and development programme for wetland rehabilitation had changed workers’ livelihoods and perceptions about the environment, and she identified the institutional strengths and weaknesses (2007). Her current PhD research disentangles which livelihood strategies and personal views are related to higher rates of pro-environmental behaviour, in order to promote better targeting of rewards for ecosystems services in tropical forests. Anna Vilalta studied Biology at the Universitat Autònoma de Barcelona (UAB) and completed her PhD in January 2009 at the same University. She obtained the PhD award 2009 in the Department of Surgery. Her thesis project was to investigate the microdialysis application to the study of metabolic and inflammatory response in moderate and severe traumatic brain injury. This work was carried out in the Vall d´Hebron University Hospital with the supervision of Dr Juan Sahuquillo. Some months later she obtained a two year post-doctoral contract from the FP7-People-2009-IEF “Marie Curie Intra-European Fellowship (IEF) for Career Development” to work in the Department of Biochemistry of the University of Cambridge (UK) with the Professor Guy Brown. Before starting the IEF contract in June 2010 she worked for few months in the Neurovascular Research Laboratory led by Dr Joan Montaner, from the same Hospital and with which she had previously collaborated. The objective of the IEF project was to study the role of microglial phagocytosis in ischemic/hypoxic and traumatic neuronal loss. Once the IEF project was finished she obtained a contract as a research associate to collaborate with Dr Peter St George-Hyslop to study the role of new discovered genes that modulate the risk for Alzheimer Disease in relation to the microglial response to aβ oligomers. 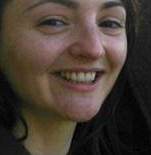 Anna Vilalta is a SRUK/CERU member since the beginning of 2012 and member of the Cambridge constituency since summer 2012.